A basic pair of bracers will go a long way in keeping your hands and forearms safe during battle. These Warlords Bracers, however, are more than just basic, as they make use of the best of both worlds, possessing leather and steel in equal measure. These bracers consist of black leather backing that features stainless steel plating that is shaped and curved over it. This length of metal is flexible enough to bend, while possessing strength enough to withstand light impacts, like the sort that would be experienced during the course of LARP combat or mock-battles on stage. The leather used in the construction of these bracers is 9-10 oz. leather, while the stainless steel used is 18 gauge. These bracers are only available in one color, with the metal being polished and the leather being black. They are also available in one size, although given that they are worn using fasteners and laces, they are also quite adjustable and can be made to fit many different arm sizes. 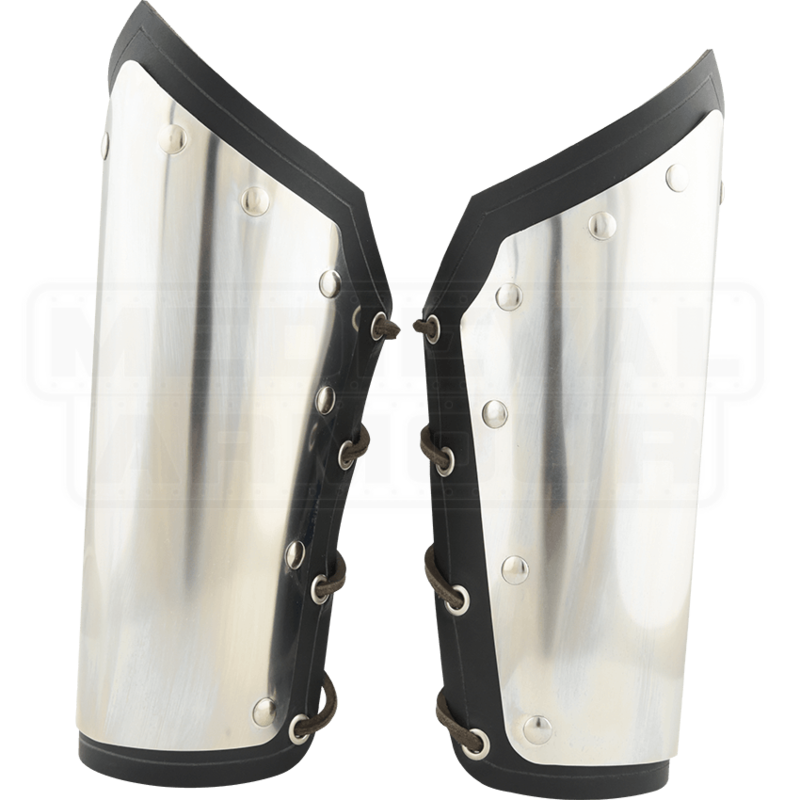 The simplest part about these Warlords Bracers is their style, which is perfect for fitting into virtually any style of warrior imaginable, making them a great pair of bracers to include in your armor collection, no matter what style of combat you prefer!